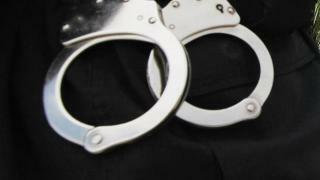 A Morgan Hill student was arrested and booked into juvenile hall on Tuesday after police received information about a threat made to the student's campus, police said Wednesday. The Police Department and the Morgan Hill Unified School District immediately responded to the school to investigate a message located at Ann Sobrato High School that was discovered the day after it had been written, police said. A team of officers was on site at the high school to investigate, which resulted in the identification and arrest of the student who allegedly threatened the campus. Police are now encouraging parents to talk to their children to reinforce the severity of actions like the ones taken at Sobrato High. "There is an increase of threats being made at schools across the nation, and all threats will be taken seriously and prosecuted no matter what the intent," police said in a statement. Since the student is a juvenile, his identity was not released.